Nearly everything new in this picturesque home! 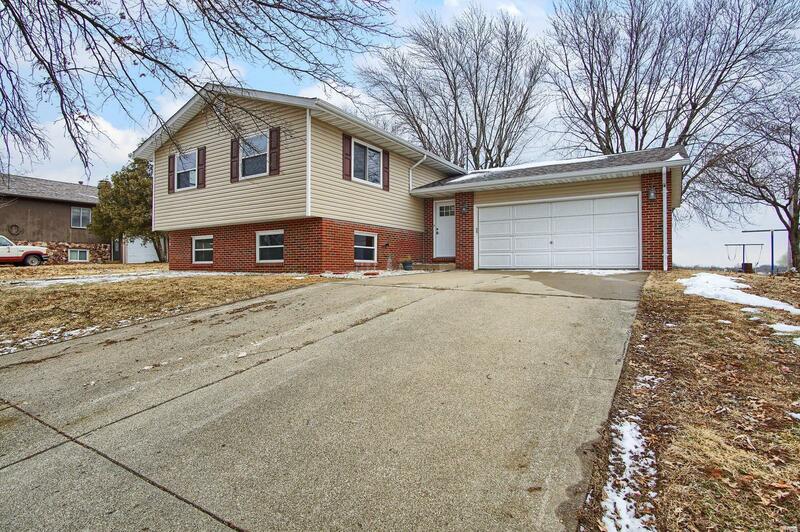 This home boasts spacious rooms, plenty of storage, & loads of upgrades. Large entry foyer landing with newer wood-laminate flooring & access to the expansive Oversized 2-Car Garage. The airy & bright living/dining room combo are perfect for entertaining or family gatherings. The remodeled chef's delight kitchen comes complete with gas stove & matching stainless steel appliances, elegant stone back-splash, large pantry spaces, granite counters & an abundance of cabinetry with brushed nickel hardware. The newly built deck is perfect for meal time or enjoying coffee! Rounding out the main floor are 2 spacious bedrooms with fresh new carpet & newly remodeled full-bath. The lower level is host to a spacious family room, 3/4 bath, bedroom, & laundry. Updates include paint, baseboards/trim throughout entire home, new doors, new deck, new kitchen appliances, counters, cabinetry, hardware, fixtures, flooring, & more!